How to Rip DVD with 99 Titles Strict Copy Protections on Windows and Mac? "I am trying to encode a DVD using Handbrake. After the initial scanning Handbrake comes up with 99 titles for the movie, 77 of which are duration times within 2-3 minutes of the film. 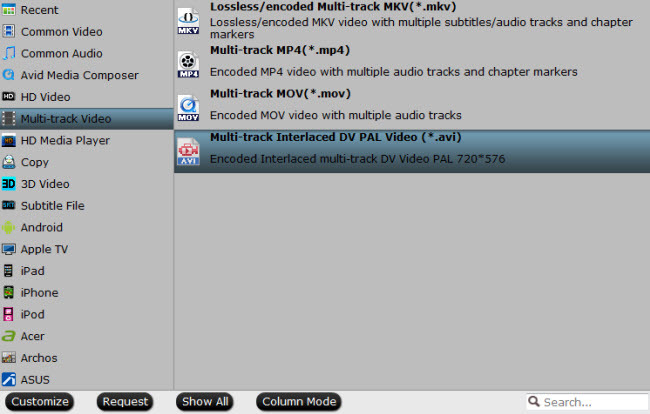 I tried using 3 different titles, and each time the encode has the movie, but it is in the wrong order. All 3 times the movie starts correctly, but then it skips about an hour into the film, then goes on past the credits and plays what it skipped at the end. Any way of fixing this? By the way, it is a Disney DVD movie." To prevent people from duplicating and distributing commercial DVDs, DVD producers always include one or more DVD copy protection schemes into a DVD. And 99 titles copy protection is one of the most strict encryptions, which is widely adopted by Disney, Warner Brothers, Paramount, etc. As a matter of fact, only one is the main and right title that contains the full movie content. And others are wrong and fragmentary, used to confuse us. Meanwhile, the file size of a 99-title DVD is usually more than 40 GB. This is why HandBrake can't rip DVD with 99 titles. And it is not surprising that even some commercial DVD rippers cannot rip 99-title DVD without errors. Fortunately, there are still some apps are powerful enough to handle DVDs with 99 titles, Pavtube DVDAid (best DVD Ripper for Windows 10) is one of the omnipotent DVD Ripping tool that is capable to unlock all DVD copy protections including DVD CSS, region codec, RCE, Sony ArccOS, UOPs, Disney X-project DRM (99 titles DVD encryption included). 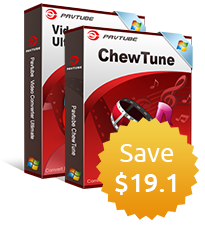 With the program, you can effortlessly rip DVD with 99 titles to virtually any file formats and devices or programs preset formats. It will be difficult for you to determine what subtitle for the main movie to rip from a DVD with 99 movies, you can simply pick the one with the longest playback time, or open the DVD disc with VLC media player, on the main interface, click "Playback" > "Title", the title marked will be the title that you are looking for. 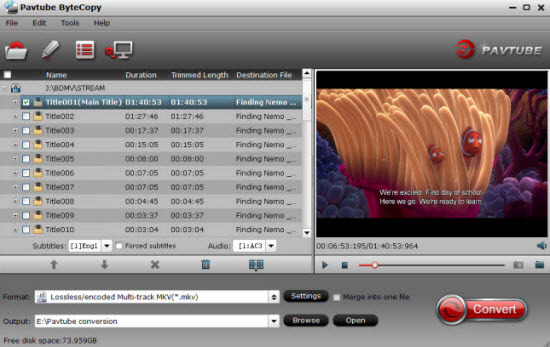 Other bonus and beneficial functions equipped with the program including making full disc copy or main movie copy of DVD with 99 titles, editing DVD with 99 titles by trimming, cropping, merging, inserting subtitles, adding watermark, etc, adjusting output video or audio profile parameters for better output file quality. For your convenience, the program offers both Windows version and Mac version. For Mac users, just feel free to download Pavtube DVDAid for Mac to rip DVD with 99 titles on Mac OS X El Capitan. How to rip DVD with 99 titles copy protection on Windows and Mac? Step 1: Load DVD with 99 titles to the program. Launch the application on your computer, insert the DVD disc into the optical drive on your computer. 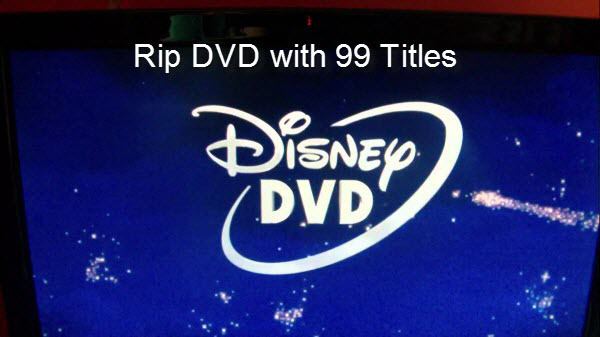 Click "File" > "Load from disc" to add DVD disc with 99 titles to the program. Step 2: Specify the output profile for the DVD with 99 titles. The program offers numerous different output formats and preset profiles, you can choose one according to your own preference. You can choose to rip DVD to multi-track AVI for playing on DVD player. Step 3: Choose output folder to save converted DVD. Hit "Browse" button on the left-bottom to set a destination folder to store the converted DVD movies with 99 titles. Step four: Start Ripping DVD with 99 titles. After all setting is over, hit right-bottom "Convert" button to begin to convert/rip DVD with 99 titles to your desired file formats. When the conversion process, you will have no limitation to duplicate or distribute DVD with 99 titles on portable devices, media players, game consoles, TVs, etc anywhere as you like.